X-MPS3L-ST - Ringtail Emergency Lighting. 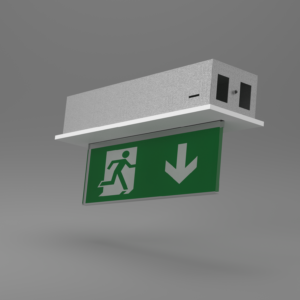 This LED exit sign uses high illumination white LED’s, in an attractive extruded aluminium housing. 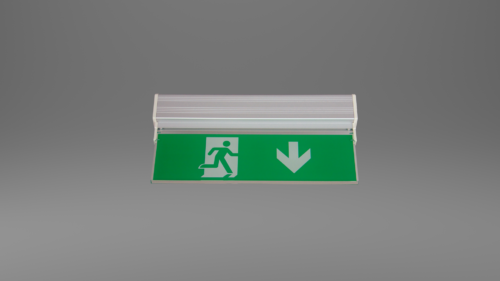 Rated to IP40, this emergency exit sign is suitable for incorporation into an emergency lighting system. 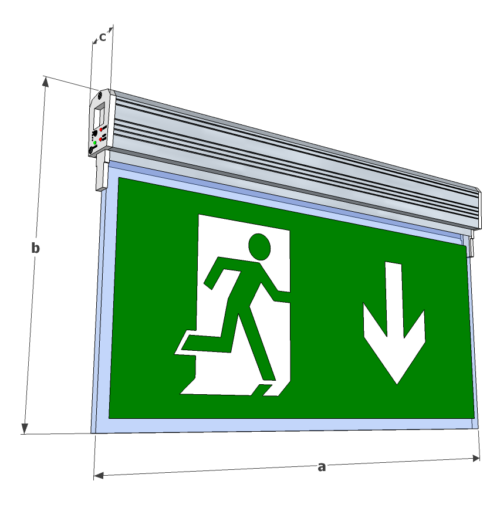 The various mounting methods mean it can be used for a large variety of uses. 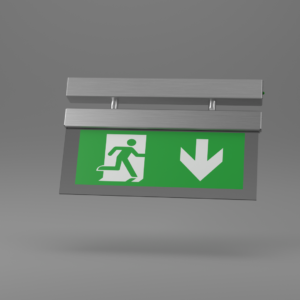 This self testing exit sign continuously tests the battery voltage and the operation of the LED’s every 15 days, and every 6 months the autonomous duration of the battery. 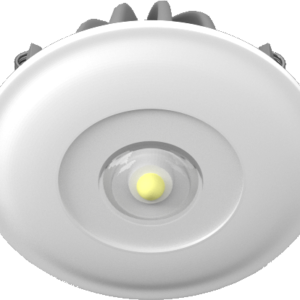 The clearly indicated warning lights will alert you to any problems it has detected, so that you can keep your logbook records up to date. 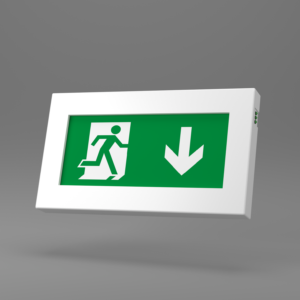 This is an attractive alternative to a standard suspended or recessed exit sign.